(PRESS SEC) — Prime Minister Dr. the Honourable Timothy Harris and Honourable Senator Akilah Byron-Nisbett visited the family of the late Sir Probyn Inniss, MBE today, Sunday, March 12th, 2017, to pay their respects on behalf of the Government and people of St. Kitts and Nevis. Sir Probyn Inniss, who served as Governor from 1975 to 1981, died today at the age of 80. He was born in St. Kitts on November 18th, 1936. 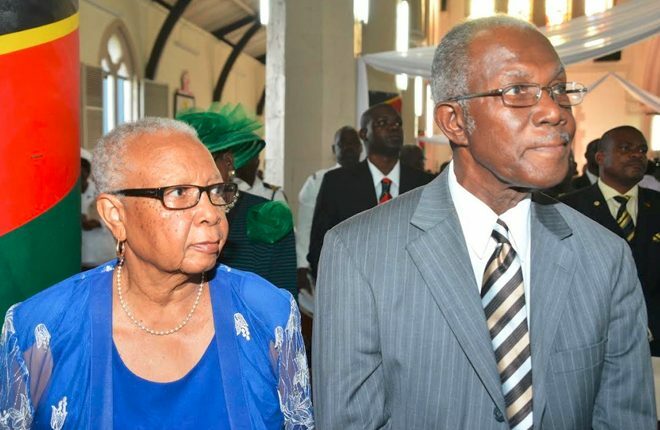 “I extend my heartfelt condolences to Lady Rosamund Inniss, the wife for some 55 years of His Excellency Sir Probyn Inniss, MBE, and to their three children, Mrs. Angela Inniss-Hodge, Ms. Marcia Inniss and Probyn E. Inniss, Jr., their grandchildren and other family members,” Prime Minister Harris said today. “The Government and people of the Federation of St. Kitts and Nevis join with them to mourn the tremendous loss of Sir Probyn Inniss whose thumbprint will forever be on the annals of history,” the Honourable Prime Minister added. In 1965, Sir Probyn served as Secretary to the Campbell Commission into the Sugar Industry in St. Kitts. The following year, he served as Administrative Secretary for the visit of Her Majesty Queen Elizabeth II to St. Kitts and Nevis in February 1966. In 1967, Sir Probyn became a Member of the Most Excellent Order of the British Empire (MBE). Sir Probyn Inniss performed the important role of Secretary to the Cabinet between 1967 and 1969, and served as Permanent Secretary for External Affairs during that time. Sir Probyn also served as Permanent Secretary for the Establishments (Personnel) Division. From 1974 to 1975, Sir Probyn served as Crown Counsel and as Governor from 1975 to 1981. Her Majesty Queen Elizabeth II knighted him at Buckingham Palace in 1976. Also that year, he received the Super Lion Award at Chancellor Hall, University of the West Indies. A graduate of the University of the West Indies and the Inns of Court School of Law – now known as The City Law School – in London, England, Sir Probyn entered private law practice in 1982 and served as Senior Partner in the law firm of Inniss and Inniss from 1988 up until his death. In 1986, Sir Probyn Inniss received the National Ecumenism Award from the Caribbean Conference of Churches. He served as Vice-President of the Methodist Church in the Caribbean and the Americas (M.C.C.A.) from 1991 to 1993 and penned a book titled Methodism in St. Kitts in 2006. Other publications by Sir Probyn Inniss include Historic Basseterre (1979), Whither Bound St. Kitts-Nevis? (1983), Memorable Quotations (2002), and Forty Years of Struggle, The Birth of the Labour Movement (2005). 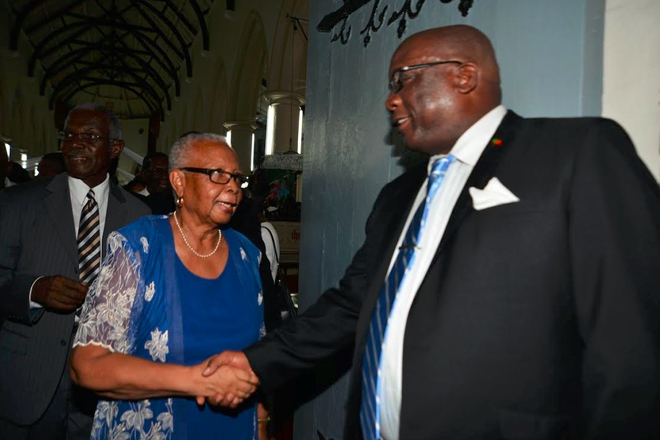 Sir Probyn Inniss served as President of the 4H Advisory Council from 1972 to 2004, President of the Area Council of the Boys’ Brigade from 1983 to 1996, President of the St. Kitts Lions Club from 1993 to 1995, President of the St. Kitts and Nevis Bar Association from 1995 to 1997, and Vice-President and Chairman of the OECS Bar Association between 1996 and 2000. He also served for more than 30 years as a member of the board of Maurice Hillier Memorial Junior School.